Probably the most important part of any Alpha... the chance to share thoughts and ideas on the topic, and simply discuss it in a small group. There's no obligation to say anything and there's nothing you can't say (seriously). It's an opportunity to hear from others and contribute your own perspective in an honest, friendly and open environment. 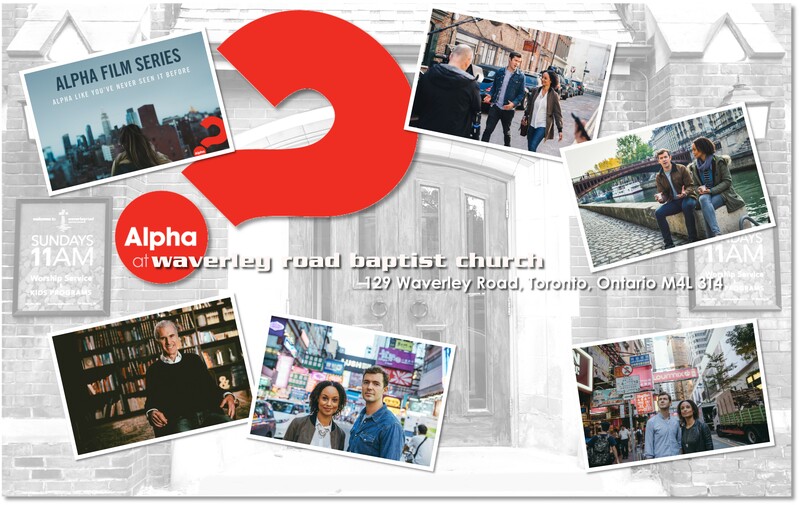 Note: Please register with your name, contact info, and any dietary restrictions via email at alpha@waverleyroadbaptist.ca. Also, a short child care programme may be available upon request. Please specify upon registration, if required.